Spacious black leather weekend bag with PC compartment. Leather Weekend Bag with PC compartment. 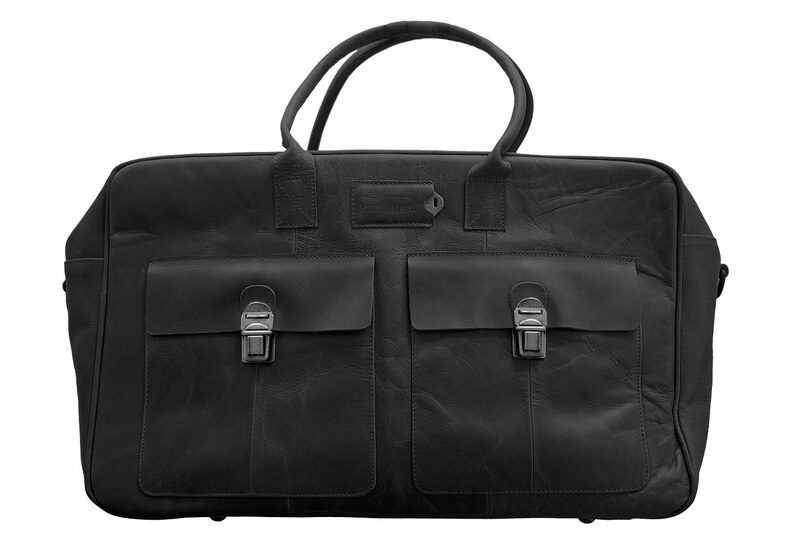 Cliff weekend bag is made of high quality black leather. A spacious main compartment gives you plenty of room to pack your favourite things. There is also a padded compartment to keep your laptop safe and two smaller pockets on the inside. On the outside there are two pockets that closes with buckles. The included shoulder strap is of course removable and the length adjustable. The size of the bag is designed to meet most airlines regulations for carry on luggage.